Is This a DirecTV connection Issue With OOMA??? I, too, am a new convert. I had ATT home phone with HSI Express DSL (supposed to be 1.5Mbps but I never saw faster than 700Kbps) , but recently decided to get rid of them totally. I ported my home number over and once that was done, I am free from ATT TOTALLY!! I just signed up with Time Warner and got their cable broadband with 10Mbps download. I finally got it all hooked up with the OOMA Telo directly after the modem and before my router. But I don't have the type of NI box mentioned earlier in other forums, I've just got a four post connector in the box(has four threaded posts and hex nuts). The house was made in 1966 and the phone company never changed out the original connector. My problem starts when I connect my OOMA Telo hub to my home phone jacks to supply OOMA to all my jacks in the house. 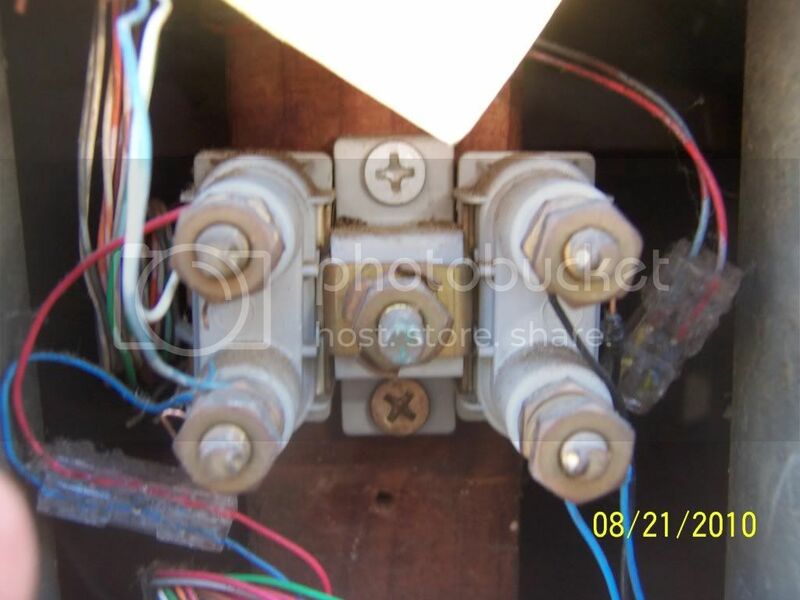 I have the phone ouput from the Telo going into a duplex phone jack (it changes a single jack into a dual). I figure this should put the signal into each jack but all it did was complicate things. Now, if I pick up a phone (Panasonic KX-TG5432 handset) from it's charging cradle, it shows the "line in use" on the handset. When I push the TALK button to get a dial tone, I actually get either a busy signal or the sound you get when a phone is off the hook. I do have my DirecTV HD DVR plugged into a phone jack for updates and ordering movies. I cannot access anything in the DVR setup menu on-screen to change any settings for the phone or to add the *99 into the dial-out process. How can I get all this to work, Please help. Thanks for your time and it's been a pleasure to read the vast amounts of technological knowledge on these forums. I do hope someone can help me. Re: Is This a DirecTV connection Issue With OOMA??? 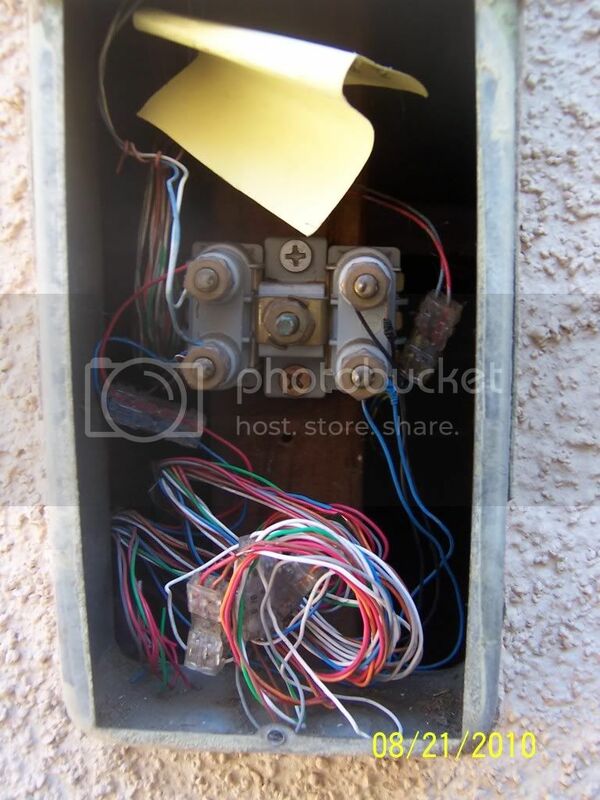 You're going to need to remove the AT&T voltage from your house wiring in order to extend dialtone from your Telo to the jacks in your house. Perhaps if you posted a photo of the NID connections someone here will be able to advise you on what to do. the best I can do is to send you to my photobucket page at this link. There are two pictures in the Home Improvement file that shows exactly what I have. Thanks for the inquiry. Groundhound, I am sorry for destroying your name. I apologize. My posting was two fold, the wiring issue and what can I do to set up my receiver for compatibility. Since I cannot use the quick fix that was mentioned in other posts, my DirecTV HD DVR has a touch surface on the face - not button and I cannot do the two finger push. As such, I am learning as I go and generally winging it since I cannot phrase my questions effectively. Nor I must say, am I having luck searching throughout the forums and additional links given. Please forgive me for imposing on the experts here, I will try to be more diligent in my searches for answers before asking questions. Thank you to anyone that reads this and if it's a duplicate post/topic, feel free to edit or lock the topic, I understand.